Earlier this year, Celestyal Cruises received four Cruise Critic Cruisers Choice Awards: two first place awards, for Shore Excursions and Value, and two second place awards, for Service and Entertainment. Celestyal Cruises is the only home-porting cruise operator in Greece and the preeminent cruise line serving the Greek Islands and the Eastern Mediterranean. It operates four mid-sized vessels, each one cosy enough to provide genuine and highly-personalised services: the size of the vessels makes it possible for crew to provide each passenger with the personalised service that makes sailing with Celestyal Cruises unforgettable. In addition to popular three- and four-day Iconic Aegean cruises, in 2018 the cruise line is introducing a seven-day itinerary, the Idyllic Aegean, which will offer one of the best value-for-money vacation experiences in the Mediterranean. This cruise spends overnights in Mykonos and Santorini – the other ports of call are Athens (Piraeus), Milos, Crete, and Kusadasi or Samos, with disembarkation in Piraeus. The 2018 seven-day Idyllic Aegean features all-inclusive drinks package, all meals onboard, entertainment, as well as selected shore excursions, port and service charges, and gratuities. In addition to providing an outstanding product to individual travellers, couples and families, Celestyal Cruises also hosts meetings, conferences and exhibitions for companies and organisations (Mice). Onboard facilities include well-appointed theatres and lounges, for larger meetings, and more intimate spaces for one-on-one interviews and breakout sessions. 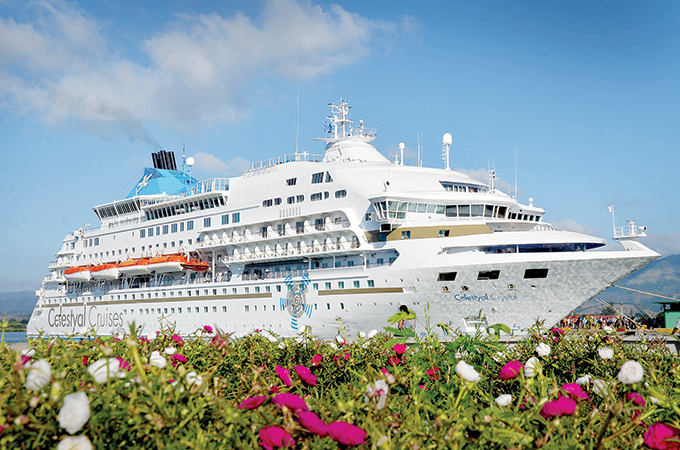 With the all-inclusive pricing, hosting corporate events during one of its cruises is often 30 per cent less expensive than hosting the same event at a hotel or conference centre, says a representative from Alpha Holidays, which is the exclusive agent for Celestyal in the Middle East.